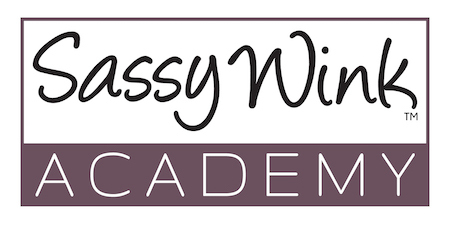 Have you completed the Microblading Essentials Training from Sassy Wink Academy? If you are ready to advance your skills of creating the most realistic looking hair strokes with this cutting edge technique, then it’s time to enroll in the Microblading Edge Training. This extensive course is for those artists ready to work on live models as well as continuing improvement into shading, ombre and hybrid (combining microblading with shading) for manual brow tattoo techniques! Students can expect to spend focused time covering in-depth the advanced microblading skills necessary to take their techniques to the next level. With live model work, students will not only reinforce the Essentials training skills, but also learn and refine advanced shading techniques necessary for creating the most natural and dimensional looking brows. Each state is regulating permanent cosmetics differently and usually under body art/tattoo. The ideal Microblading student has a background in beauty and skin (cosmetologist, esthetician or permanent makeup artist). Complete Microblading Essentials Training from Sassy Wink Academy with Voxer support from instructor. Master the ability to create consistent hair stroke patterns, mirroring one another on each brow. Apply all developed abilities while incorporating all Sassy Wink Academy guidelines, as instructed. The ideal Microblading student is dedicated, meticulous and knows that practice and patience will be necessary while developing the muscle memory and knowledge attached to microblading skill and artistry. Rushing into working on live skin immediately is not best practice. *Check with your local state board of cosmetology and department of health for specific requirements. Reinforcement of Microblading Essentials Training. Troubleshoot common issues to create confidence and mastery in your work. Evaluate hair stroke patterns and ergonomics. Identifying pitfalls and frustrations of numbing. Review proper stretch techniques and brow design. Review client consultation, tray prep and set-up. Theory on shading, ombre and hybrid techniques. Practice on synthetic skin and live model work.